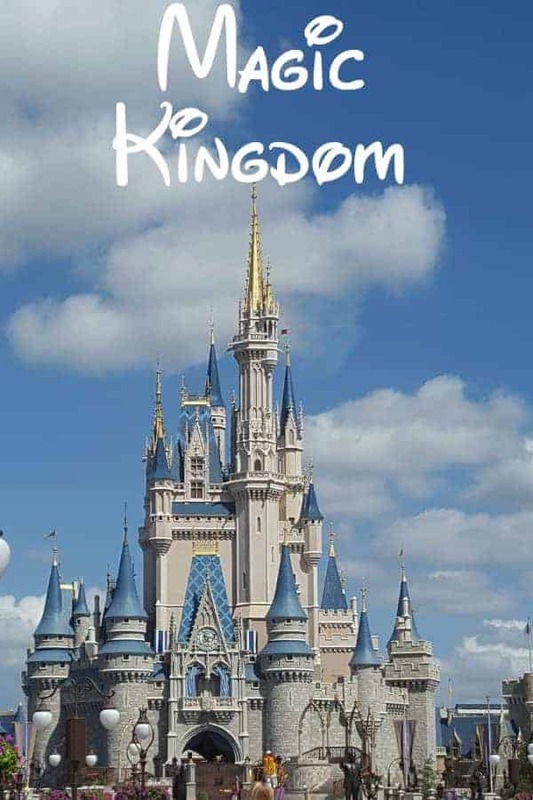 For those traveling to Disney World Orlando for the very first time, you may not understand how Disney World is set up or what parks actually are part of the Disney themed area. We find that many people are often confused and believe that Universal and Sea World are part of the Disney World parks, when they are actually totally separate. There are actually only four Disney World parks and they are all within an easy drive to one another (if not a boat ride or walk!). 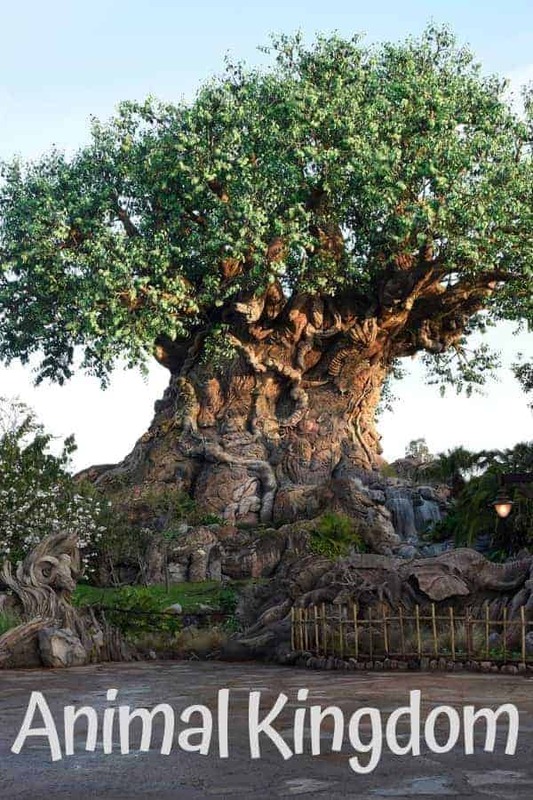 Animal Kingdom’s main theme is just that, animals! You’ll find the park divided into 5 different areas based on different lands. Africa — In this area, you will walk through an African village where you will find everything from drum circles to acrobatic performers. Guests can go on a African safari to see such wildlife as lions, zebra, giraffes and other magnificent animals roaming freely. There is a Wildlife Express steam train that takes you from Africa to Rafiki’s Planet Watch, an interactive conservation center where guests enter learn about animals and their environments. Asia — Here, you will be able to walk past Asian ruins complete with monkeys and take a walking journey that will allow you to see Bengal Tigers, Komodo dragons and even bats! Two rides you won’t want to miss are Expedition Everest (a coaster that brings you on a close encounter with the Yeti) and Kali River Rapids, a white-water raft adventure through a rainforest. DinoLand U.S.A. — You will venture back in time with this part of Animal Kingdom. Go on a thrilling ride to escape dinosaurs on DINOSAUR, kids can dig in The Boneyard for fossils and have a fun time in the dinosaur themed fair playground. Pandora – The World of Avatar — The newest area of Animal Kingdom makes you feel like you are walking straight in the the movie, Avatar. You can fly on the back of a mountain banshee in Pandora on the Avatar Flight of Passage or journey into a bioluminescent rainforest on Na’vi River Journey. 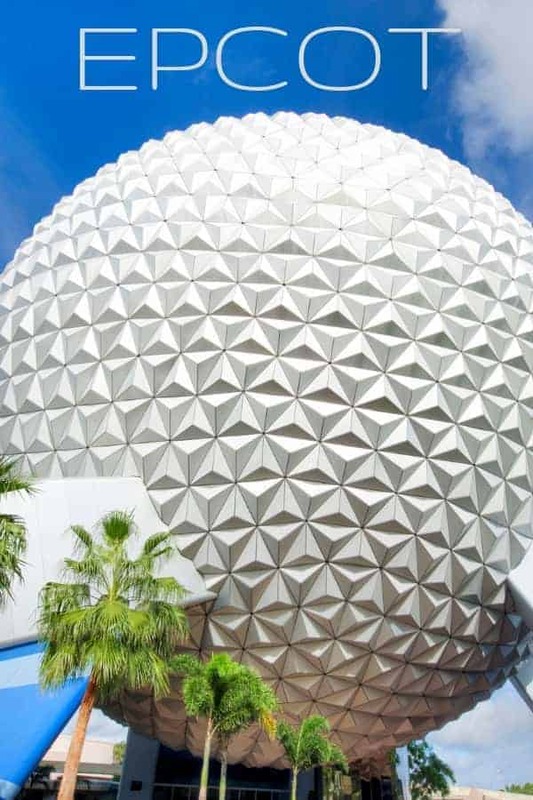 Epcot park was designed to showcase inventions & innovation and multi-culturalism. It is divided into two parts, Future World and World Showcase. Future World explores technology with rides like Spaceship Earth and also draws attention to the under sea world with The Seas with Nemo & Friends. World Showcase is a kaleidoscope of 11 nations featuring architecturally authentic buildings, experiences, and entertainment. You will also find dining experiences that focus on the native foods of each country. This Disney World park focuses on giving guests a behind-the-scenes Hollywood experience. You will find that the entire park has many Hollywood inspired rides and attractions. Hollywood Boulevard – is the central area of the park. 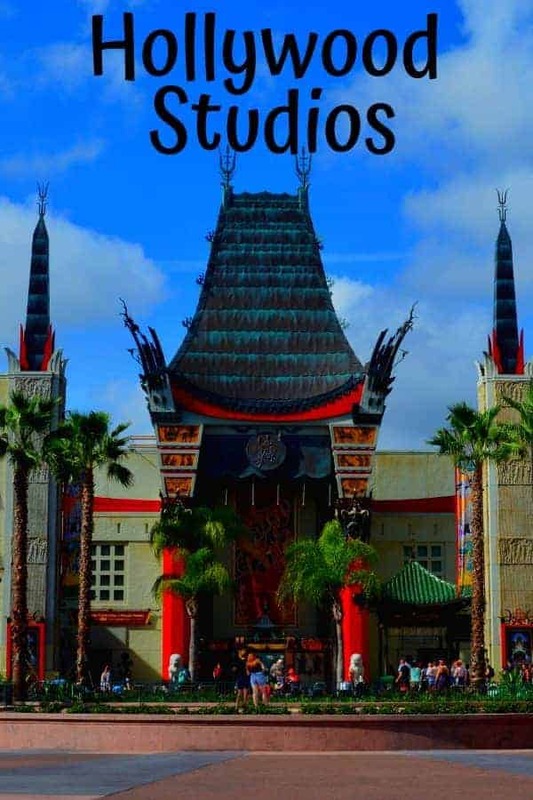 You will find stage shows and a replica of Grauman’s Chinese Theater that is the center hub of Hollywood Studios. Echo Lake – In this area of the park, you will find a theme of adventure. Two of the most popular attractions in this area are Indiana Jones Epic Stunt Spectacular! and Star Tours—The Adventures Continues. Grand Avenue – The Muppets take the center stage of this street. You will find a 3D Muppet show as well as Muppet themed pizzaria. Toy Story Land – The newest addition to Hollywood Studios makes you feel as though you have walked right into the backyard of Andy. Filled with Andy’s toys, you will find Toy Story themed rides and experiences. Animation Courtyard – Star Wars Launch Bay is a primary location within the park for fans to celebrate all things Star Wars. Another area is dedicated to Disney Junior. You’ll find a live stage show as well as meet & greet for some of your favorite Disney Junior characters. Sunset Boulevard –One of the most popular areas in Hollywood Studios, this street features some of the best rides and attractions. Rock ‘n’ Roller Coaster is an indoor roller coaster featuring music from Aerosmith. The Twilight Zone Tower of Terror takes guests on a plummeting ride down 13 stories. There are two amazing live shows: Beauty and the Beast and Fantasmic! Main Street, U.S.A. – This is the first area you go through when entering the park. You will find a town filled with it’s normal buildings including a Firestation, City Hall and Barbershop! Adventureland – In this land, you will find rides and attractions that deal with adventure: Pirates of the Caribbean, Jungle Cruise, The Magic Carpets of Aladdin and more. Frontierland –Go back to a time when the United States was just beginning to go West. Built to look like the old West, you will find the popular rides Big Thunder Mountain Railroad and Splash Mountain in this part of the park. Liberty Square –The location of the United States first White House was in Philadelphia, Pennsylvania. This area of the park is built to look like you’ve walked back in time to Philadelphia in the 18th century. You’ll find Haunted Mansion, Liberty Square Riverboat, and The Hall of Presidents. Fantasyland – Probably the most favorite part of Magic Kingdom takes you into the Disney classics. You’ll find rides and attractions that bring Disney characters to life: Peter Pan’s Flight, Mad Tea Party, Prince Charming Regal Carrousel, The Many Adventures of Winnie the Pooh, Under the Sea – Journey of The Little Mermaid, Enchanted Tales with Belle, and Seven Dwarfs Mine Train. Tomorrowland – Venture into the land of the future with rides and attractions that take on an out of this world theme. You’ll find Buzz Lightyear’s Space Ranger Spin, Monsters, Inc. Laugh Floor, Space Mountain, and Walt Disney’s Carousel of Progress. Each of the four Disney World Parks is in a separate area on Disney property but are all part of the true Disney experience. In addition to these four Disney World parks, Disney also has two water parks (Blizzard Beach & Typhoon Lagoon), two mini-golf courses (Fantasia Gardens & Summerland), ESPN Sports complex and a shopping district (Disney Springs). Are you ready to plan a trip to Walt Disney World? Be sure to read our tips for planning a Disney World Vacation.